Recommended artisans near the Slocan Valley Rail Trail. 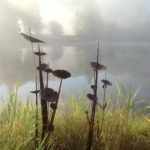 Rabia-Art: At the Artful Lodger – 5 acres on the river – you will find Rabia-Art, an eclectic variety of sculptural pieces, mosaics, glass and mirror, ceramics, bronze, banners and large as life steel sculptures. A virtual sculpture park. We are located on the Lower Appledale Road in Winlaw. 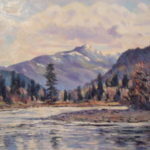 Best to call ahead for a visit 250-226-7972 or rabia-art@telus.net. Located in Slocan Park, we are easily accessible from the Rail Trail. 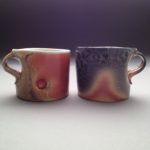 Our pieces are thrown or hand-built, or a mixture of both. 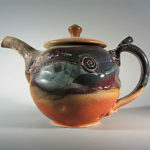 We take pride in making our own glazes, so that the finished object is unique, as well as kitchen and food safe. In an age of disposability we strive to create a product that will last for a lifetime and beyond. Visit our storefront if you’re riding by, we love visitors. We are open Monday to Saturday from 9:00 to 5:00.